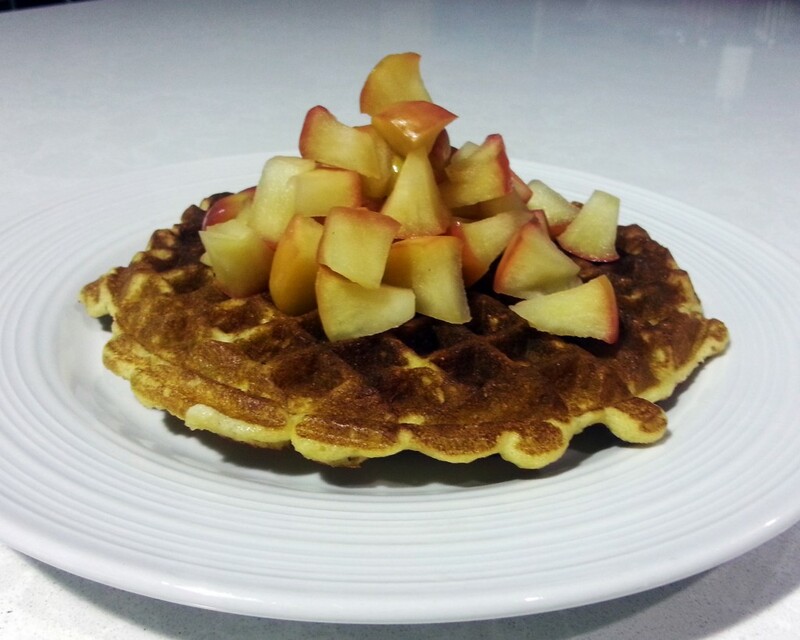 Most waffle recipes will net you at least 300 calories a waffle… but found a healthy way to do it that gets you a full-size waffle for just 105 calories. 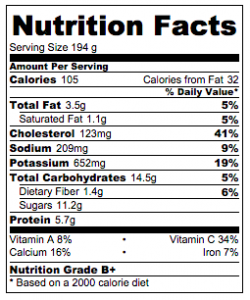 It also slips in nearly 6g of protein and a full serving of vegetables in every waffle…without losing any delicious flavor. Peel then shred your zucchini. Sprinkle them with salt and let sit while you gather your other ingredients. Use a cheesecloth or a thin dish towel to squeeze the water out of the zucchini. Mix all of the ingredients together and turn your waffle iron on high. Lightly oil your waffle iron, then start waffling! Since every machine is a little different, make sure you follow the directions for your waffle iron when adding the batter. Mine uses a 1/2 cup of batter, but others use as little as a third of a cup. Use too much batter and you’ll end up with a HUGE mess on your hands! To make my favorite sweet topping, all you need is an apple, 1 tsp of lemon, and 1 tsp of honey. Chop your apple and mix it in an oven-safe dish with the lemon and honey. Cover and bake at 350 for about 20 minutes. To turn these waffles into a savory dish you can serve for dinner, leave out the vanilla and honey and add in 3 T of water instead. You can also add in seasonings like garlic, oregano, or thyme. I like adding in some Italian seasonings and using it as a base for personal pizzas. 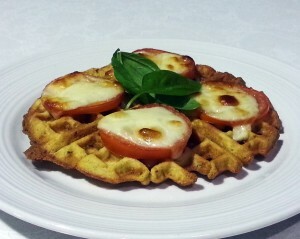 Just put 4 tomato slices on each waffle, and top each slice with a bit of cheese. Bake for about 15 minutes, until the tomato is getting soft and the cheese has melted.